Bairrada is a Portuguese wine region located in the Beira province of Portugal, borded to the north by Lafões IPR and to the east by Dão DOC. Bairrada has the highest wine classification as a Denominação de Origem Controlada (DOC), and is located near the Atlantic Ocean, which climate has a moderated effect. The name “Bairrada” is originated from “Barros” (Clay) due to the clayey soils of the region, an important characteristic of the winery region. Classified in 1979 as an ancient winery region, the wine from Bairrada is known for its deep colored tannic red wine that often have bell pepper and the black currant flavors as well its emerging rosé production. 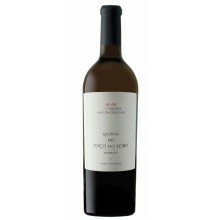 The wines grow exposed to the sun favouring the further maturity of the grapes. Bairrada produces mainly table, white, and red wines, and the region has a few principal grape varieties including red casts Baga, Alfrocheiro, Camarate, Castelão, Jaen, Touriga Nacional, Aragonez; and white casts Maria Gomes, Arinto, Bical, Cercial, Rabo de Ovelha, Verdelho. 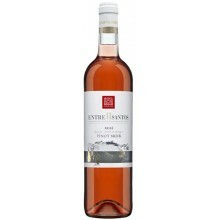 The following section of wines is composed by Rosé Wines, also known as Rosado, is made from a wide variety of grapes, and may be the oldest known type of wine. It incorporates some of the color from the grapes skin, but not enough to qualify it as a red wine, and can be found across the globe. The color of Rose wine can range from a pale orange to a vivid near purple, depending the grape varieties used and the winemaking techniques. 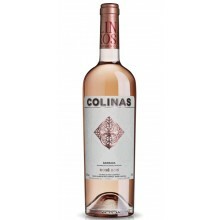 The skin contact is one of the methods to produce rosé wine, when the black-skinned grapes are crushed and the skins are allowed to remain in contact with the juice from one to three days period. The Saignée (from French bleeding) method is applied when the winemaker desires to impart more tannin and color to a red wine, where some of the pink juice can be removed at an early stage. 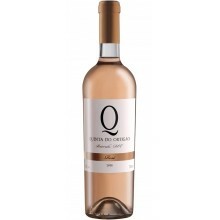 The Vin Gris are wines made from the immediate pressing of red skin grapes without any maceration time. Rose There are 8 products.